The internationally acclaimed Cloud Gate Dance Theatre of Taiwan returns to Sadler’s Wells from 9 – 12 May 2018 with the UK Premiere of Formosa. Choreographer and writer Lin Hwai-min’s new work takes inspiration from the legendary words of the Portuguese sailors in the 16th century, as they spotted the verdant land that would one day be known as Taiwan: “Formosa!” (“Beautiful!”). With music by award-winning Taiwanese indigenous singer Sangpuy and projection designs made up of Chinese characters, the lines between tribal rituals and the bustle of the city begin to blur. Using gesture, script, music and other elements of the island, Lin explores how writing has the power to distort memories and erase history. 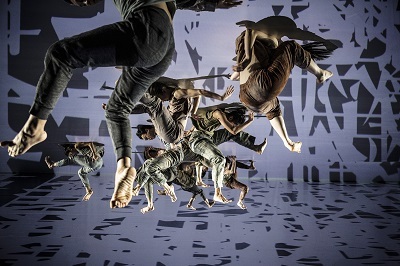 Tags: Cloud Gate Dance Theatre of Taiwan, Formosa : Cloud Gate Dance Theatre of Taiwan at Sadler’s Wells - 9th to 12th May 2018, Lin Hwai-min, Sadler’s Wells’, Sangpuy, UK Premiere of Formosa. By londonvisitors2014 in London Dance on February 19, 2018 .